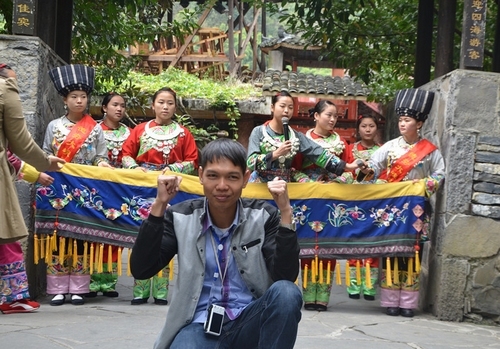 My name is KEO Borin (高博仁), from Cambodia（柬埔寨), one of the participants in the Photo Expedition Tour to Western Hunan 2014. I have been allotted a full scholarship to pursue a Master degree in AppliedEconomics at Hunan University, China. Before I start expressing my immense impression on the five-day trip to Xiangxi, let me extend my profound gratitude and appreciation to the following people. 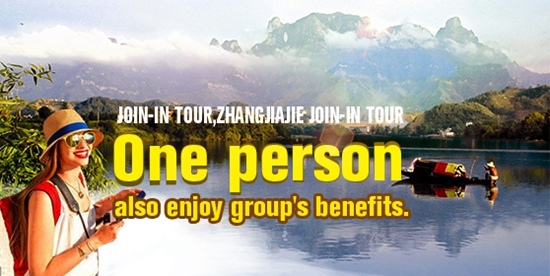 First and foremost, I would like to thank Hunan Provincial People’s Government, Hunan Provincial InternetInformation Office, the Hunan (China) Official Web Portal (www.enghunan.gov.cn) and the Hunan Provincial Bureau of Tourism for inviting me for such an amazing 5 day trip. Secondly, my special thanks are also conveyed to the team leader, deputy team leader, translator, camera operators, photographers, reporters, tour guide, driver and other relevant personnel who accompanied us during this trip. 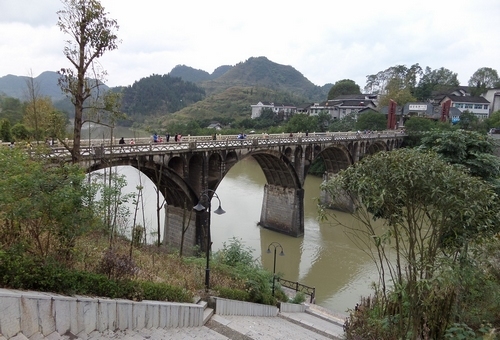 Before arriving in China, Hunan nearly one year ago, I had not known much about the province. However, what was previously known to me was that this province is the hometown of the great leader, Chairman Mao Tse Dong. 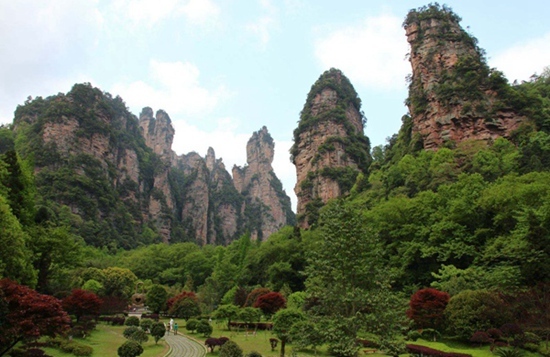 Located in the south central part of the Chinese mainland, Hunan has long been known for its natural beauty. 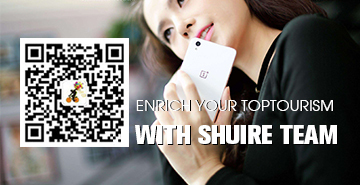 It is surrounded by mountains on the east, west, and south, and by the Yangtze River to the north. 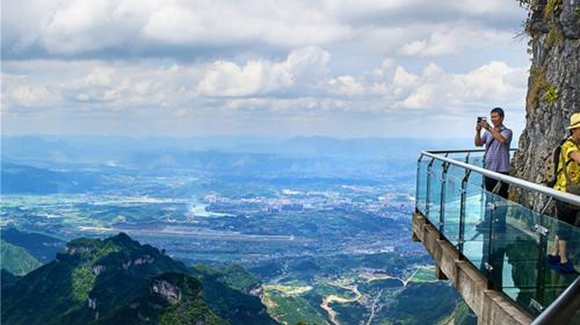 Its assortment of mountains and waterways makes it among the most beautiful provinces in China. Being a postgraduate student studying in China and having a great opportunity to visit the places I have never been, and to try new foods I have never tried mostly are done as a manner to deepen my own knowledge and experience, I found it extra rewarding for myself as a student living abroad. 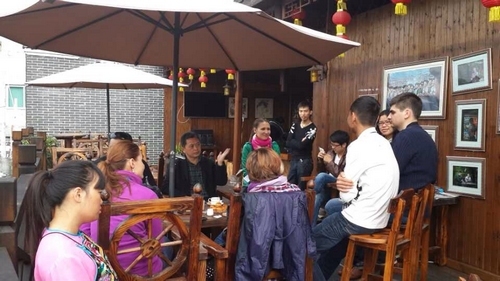 The morning of November 1st 2014 was not a normal day; it was extra special since it was the day that we, 6 foreigners including myself，5 organizers, 2 reporters, and 1 tour guide began our trip to visit and explore Luxi-Huayuan-Jishou-Guzhang-Yongshun in Xiangxi Tuji & Miao Autonomous Prefecture. We left Hunan University on Saturday 1 November at around 7.30 AM by bus. Even taking around 6-7 hours to reach the destination, I never experienced fatigue because of the amazing natural scenery and topography as well as the infrastructure development along the way. Finally, we arrived in Yuanshui Scenic Area(沅水风光带), Luxi. 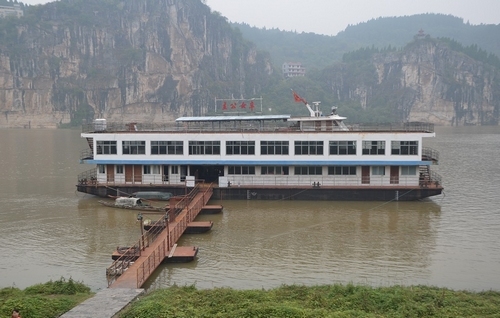 After having visited Xinnv Square and Shejiang Pavilion in Luxi City in Xiangxi Tujia and Miao Autonomous Prefecture in the afternoon, we took a luxury “Xinnv Princess” cruise ship to admire the Luxi Yuanshui Scenic Area including wonderful landscapes of limestone karst scene, the Temple, Xinnv Princess Cliff and the hanging coffins on the river. 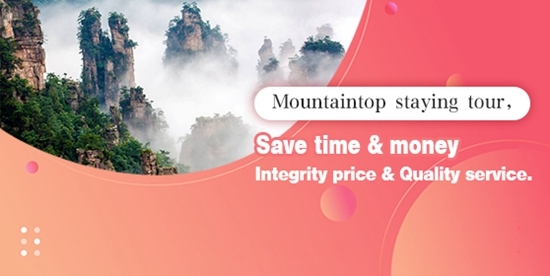 We took a good collection of photos there, as we could not resist the natural beauty of the scenery, the numerous cultural landmarks and folk customs. After dinner, we were led to enjoy the night view along the Yuanjiang scenic belt. More interestingly, I was watching kids having fun, taking photos, and enjoying the late evening in the age-old buildings. 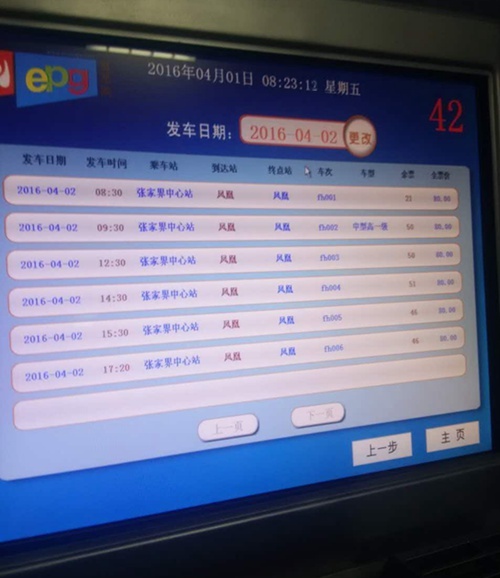 Day 2: We were scheduled to visit Chadong (茶峒) in the Border Town of Huayuan County. 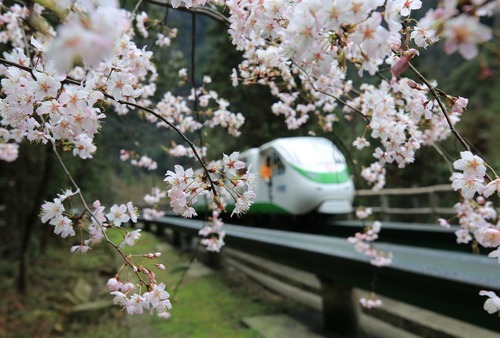 Actually, the guide explained that Huayuan County, popularly known as “Frontier City” (Biancheng Town,边城), is located at the junction of three provinces of Hunan, Chongqing municipality and Guizhou. 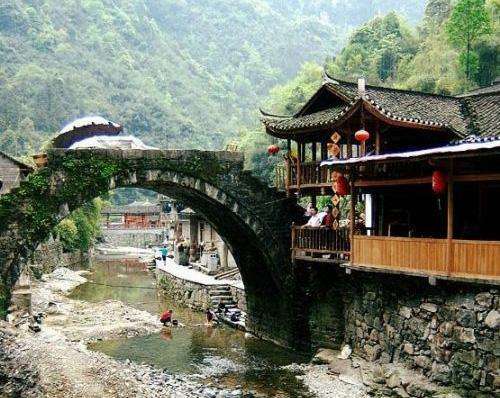 It is one of the four famous towns in Xiangxi. I was impressed by the reflection of bridges and towers in the calm river waters and the bamboo houses propped up by supports in the distance. This place is as tranquil and beautiful as paradise. After we visited those places, we were boated across the river from Hunan to Chongqing to have a group dinner in Chongqing near the border of Hunan and Chongqing. In the afternoon, we were invited to have an exchange of ideas meeting concerning the development and promoting of tourism locally and internationally by Chadong Border Town Tourism Development Company. During the meeting of about 2 hours, we had shared our own impressions and experience individually and come up with ideas to promote the area for its tourism development to the rest of the world. Day 3:In the morning of November 3, 2014, we went for a tour of Aizhai Suspension Bridge(矮寨特大桥), the world largest cross-canyon suspension bridge. 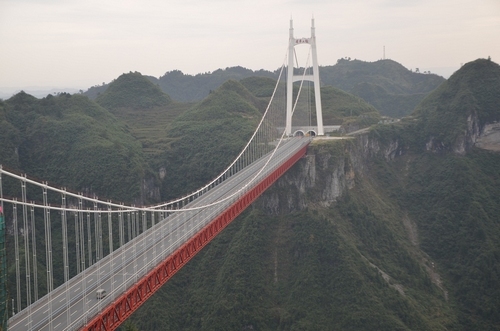 Before visiting this bridge, I have known that the bridge was built as part of an expressway from southwest China’s Chongqing Municipality to Changsha. 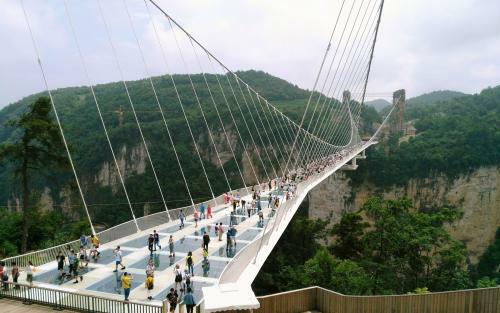 As the world’s highest and longest tunnel-to-tunnel bridge, the Aizhai suspension bridge links two tunnels 1,176 meters apart, carrying traffic 330 meters above the foot of Dehang Canyon. Having seen the stunning bridge at a glance, I did not forget to bring my camera instantly to capture the spectacular scenery of the bridge. I really admire the value and the utmost importance of the bridge since it is designed to facilitate in easing traffic in the mountainous region, where queues are common due to the narrow, steep and winding roads. 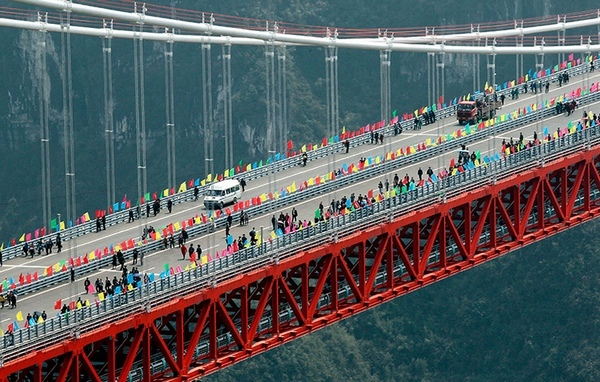 More importantly, this bridge is expected to bring about vitality to local and international tourism. Arriving Dehang village of Miao Ethnic Group, we were not allowed to enter the miao ethnic group village immediately unless we competed with them via exchanging songs at the gate. After competing with them, we were offered to drink their traditional wine before breaching their gates. What impressed me the most is that we were told to close our eyes and the excited villagers promised to give us a gift. After we closed our eye, they smeared pot ash over our faces as a sign of peace, luck and prosperity. For me, it is really worth visiting. 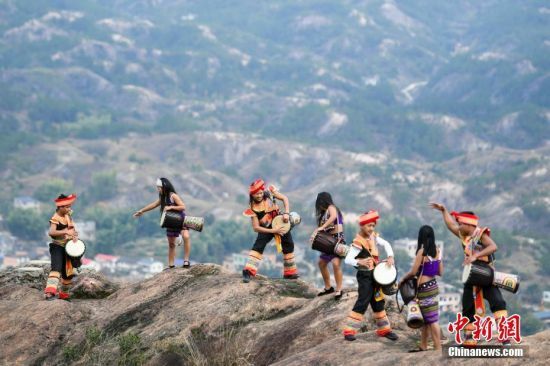 It is a good choice to experience the culture and customs of Miao people and feel the charming mysteries of Xiangxi. 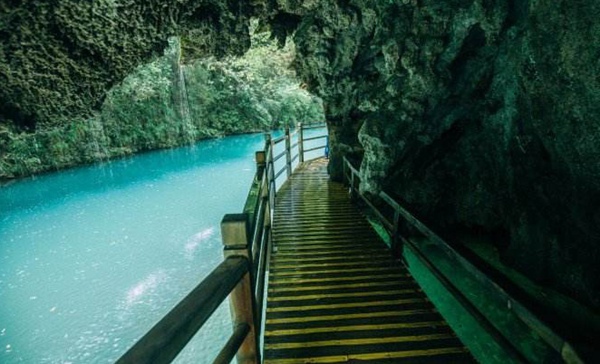 There are excellent hikes around the village and its extraordinary karst setting, beside a wide stream in a deep gorge surrounded by towering limestone pillars and pinnacles. 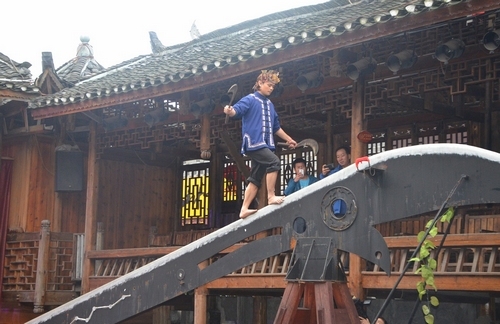 After lunch, we went to visit the Ancient Town of Qianzhou（乾州古城）. 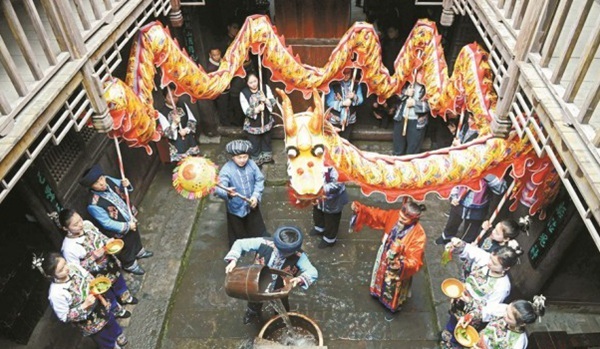 For me, the culture of this ancient town is very profound. 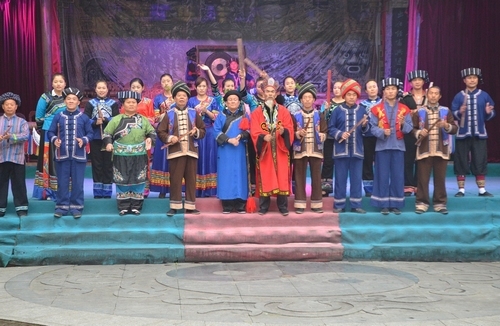 Several ethnic minorities that lived here made a splendid civilization and antique folk customs. The town remains intact with ancient architectural complexes, slates, old avenues, rivers and so forth, making us enjoy ourselves so much as to forget to leave. 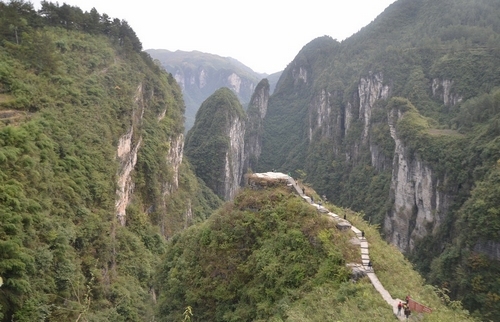 Day 4: Zuolong Gorge（坐龙峡） is all about relaxation and a break from the sheer intensity of my 5-day trip. 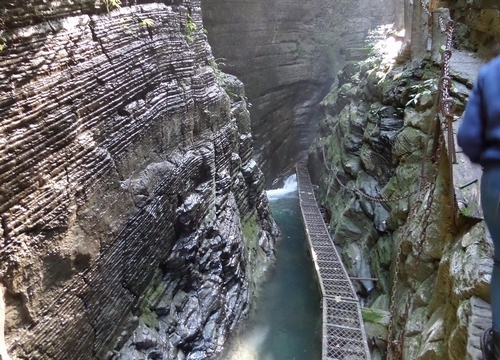 Although there is supposed to be the most challenging day trip of our 5 day journey to do in the area, it is hard to tell everything about my exciting experience and the amazing scenery of the gorge nor the treacherous path we took. After three hours of hiking, balancing on spikes and climbing ladder on the gorge wall, we reached the top of the gorge, Tujia Village. Looking back at the path we had walked, we did not forget to share our fear, excitement and amazement to our family and friends. 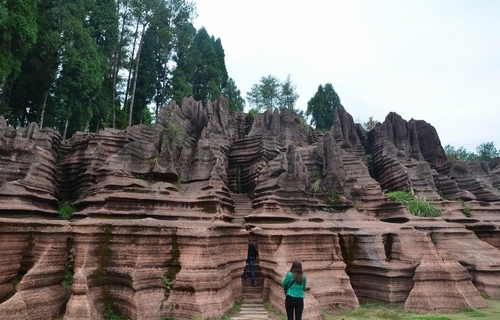 After a lunch break around 40 min, we continued our trip to the Red Carbonate-rock Forest NationalGeopark（红石林国家地质公园）. 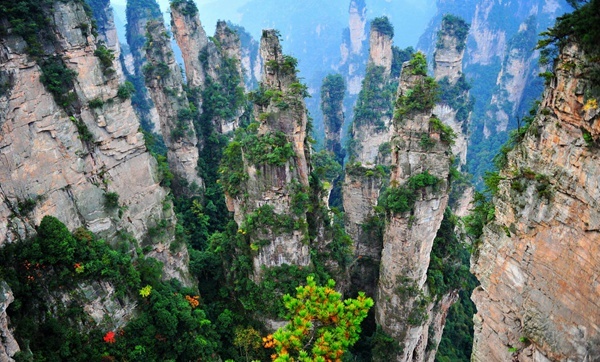 I was so fascinated by the rock forests, pillars, walls and peaks that they all had pictures with the scenery. It is really a nature-made-awesome rock for me when the guide explained to us about the attractive and mysterious thing which is that the color of rock here can change with weather and temperature. In summer with hot sun, its color turns into fiery red. During cloudy day, it would be maroon with purple. However, in heavy rainy day, it turns black. 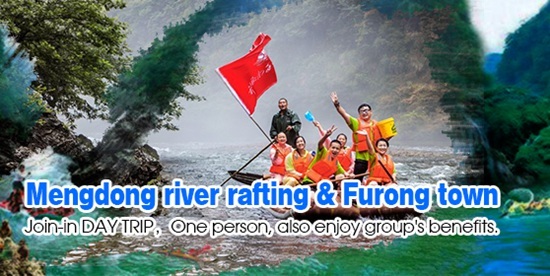 The last day of the trip: We were scheduled as proposed to visit Furong Town （芙蓉镇）for the last stop of our journey tour to western Hunan. 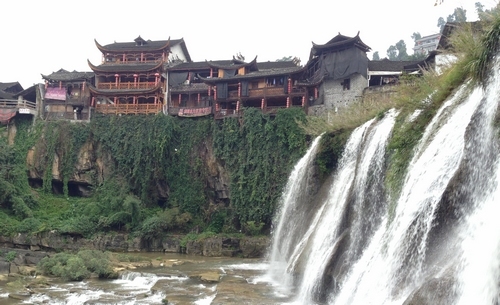 It is a peaceful small village hanging on a waterfall. This is again unique and relaxing scenery to enjoy. 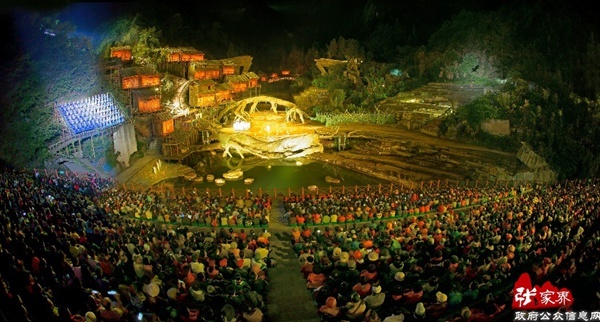 This town is famous because it served as the shooting stage of a Chinese film “Furong Town” which is adapted from a novel. 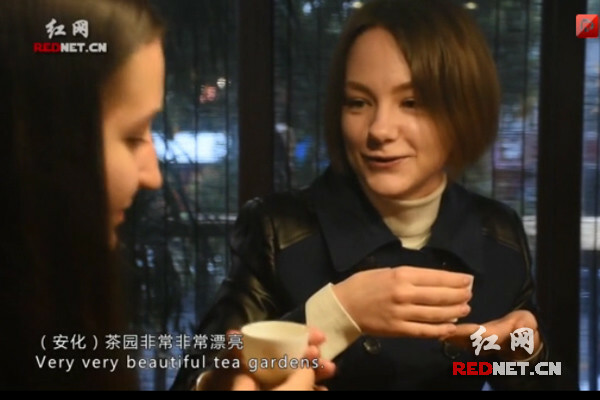 After the trip, we, the six foreigners including myself were invited to interview individually in particular to express our delights over the trip. From the bottom of my heart, I will always remember this marvelous trip. 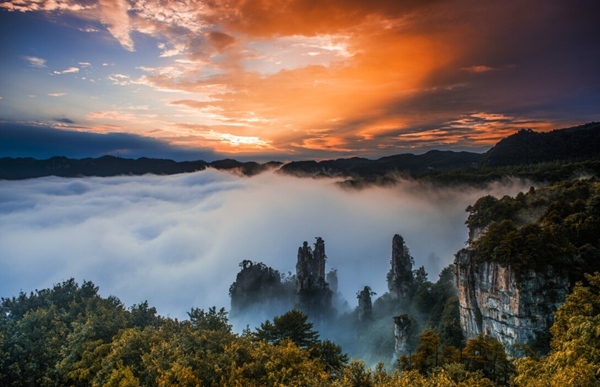 I will not forget to tell my family members and friends about Hunan's long history, beautiful lands, customs and economic progress in the new era. Next time, I will bring them here and I will be one of the international goodwill ambassadors for Hunan's international image and deep association of International friend’s with Hunan people. 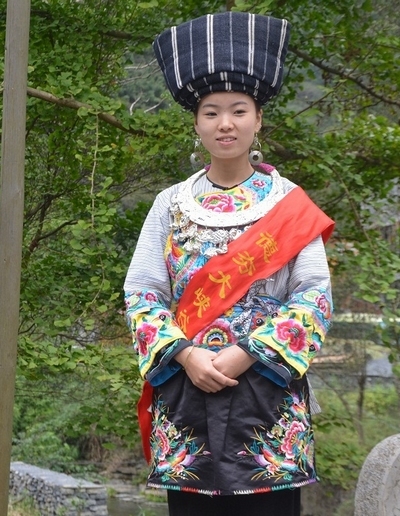 Once again, I cannot stress enough my gratitude to the organizers of the Hunan Province Foreigner Photo Contest for such an extraordinary initiative and for inviting me to closely experience local customs and practices of Western Hunan.